Posted on 9, June 2016 by EuropaWire PR Editors | This entry was posted in Construction, Germany, Real Estate, Travel and tagged ECE Projektmanagement, Hamburg’s HafenCity, Holiday Inn hotel, Union Investment. Bookmark the permalink. 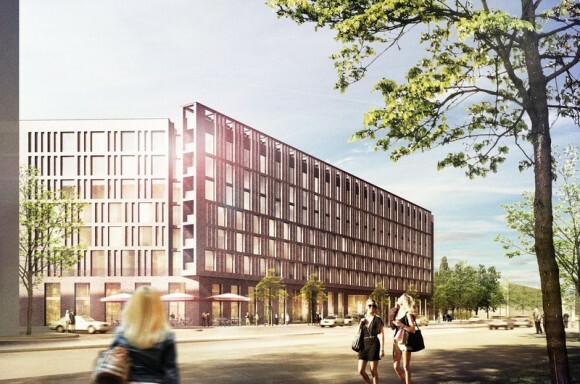 HAMBURG, 09-Jun-2016 — /EuropaWire/ — Union Investment has secured the Holiday Inn hotel development in Hamburg’s HafenCity, directly opposite the university, for its UniInstitutional German Real Estate fund. The vendor and developer of the hotel is ECE Projektmanagement G.m.b.H. & Co. KG. The turnkey purchase is subject to the standard closing conditions for this type of real estate transaction and will take effect on completion of the hotel in 2018. The four-star hotel will be operated by lessee and franchisee tristar GmbH, which already runs one Holiday Inn and two Holiday Inn Express hotels in Germany. Both brands belong to the InterContinental Hotels Group (IHG), a leading global hotel company with one of the industry’s strongest reservation systems. Holiday Inn is the hotel chain’s second largest brand. “Our strategy for the fund is to achieve broad diversification in terms of products and locations. The acquisition of a second hotel property for the portfolio reflects our commitment to that goal,” explained Dr. Christoph Schumacher, a member of the management team at Hamburg-based Union Investment Institutional Property GmbH. “Hamburg remains an attractive destination for business and leisure travellers alike, and the Holiday Inn in HafenCity is set to benefit from that demand,” added Schumacher. Work is due to begin in mid-2016, with completion scheduled for mid-2018. The building is designed to meet HafenCity “Gold” Ecolabel sustainability standards. The new Holiday Inn will offer 268 rooms and 29 parking spaces just 100 metres from the nearest subway station, with the main railway station only three stops away. Since 1965, ECE has been developing, planning, building, letting and managing large-scale shopping, office, traffic and industry properties, including company headquarters, office high rises, transportation buildings, industrial buildings, logistics centres and shopping centres. In total, ECE has realised more than 977,000 sq m of office space, approximately 550,000 sq m of logistics space and more than 1,500 hotel rooms. ECE’s successful track record includes the new ThyssenKrupp Quartier in Essen, Philips’ German headquarters in Hamburg, the main stations in Leipzig, Cologne, Hanover and Vienna, and the Motel One hotels at Vienna’s main station and in BahnhofCity Wien West. As the European market leader in city-centre shopping malls, ECE manages 196 shopping malls (43 of which are operated as part of a joint venture with METRO Properties by MEC Metro-ECE Centermanagement GmbH & Co. KG). Taking all ECE centres together, approximately 21,000 retail tenants across 7.2 million sq m of retail space generate annual sales of EUR 23 billion. These shopping centres include Milaneo in Stuttgart, Aquis Plaza in Aachen, the mall at Leipzig’s main railway station and Marmara Park in Istanbul. Numerous other centres are either under construction or at the planning stage across Europe, including Loom Bielefeld in Germany and Verona Adige in Italy.